4,338 km raced at an average speed of 30.650 km/hr. 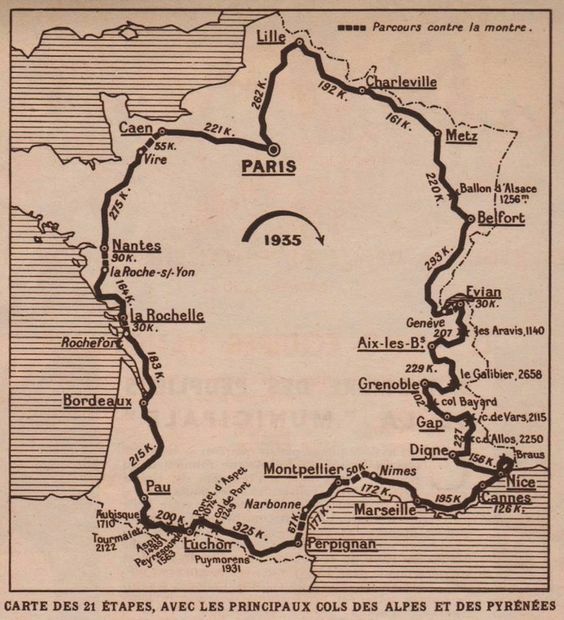 93 starters aligned national teams (40 riders), as individuels who could join the national teams in the case of abandonments (23 riders), and as fully independent touristes-routiers (30 riders). Romain Maes surprised all by taking the lead in the first stage (which was a very difficult, challenging stage) and holding it to the end. Favorite Antonin Magne abandoned after being hit by a car. 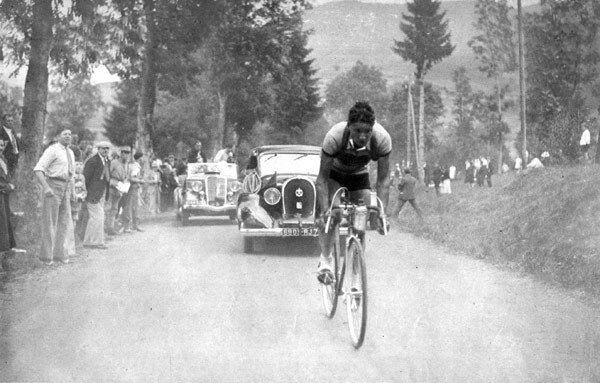 Francisco Cepeda became the Tour's first racing fatality. Aluminum rims are allowed for the first time, although riders had disguised their use for years. Time bonuses: 90 and 45 seconds for the first and second-place riders if the stage ended in a sprint. In the case of a solo break, the winner's gap is the bonus, up to 2 minutes. This same bonus applied to the rated mountain tops. Antonin Magne and Gustave Danneels are hit by a car and abandon. 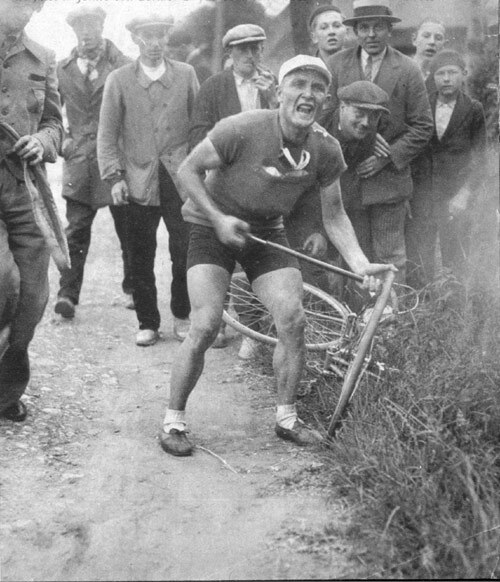 Francisco Cepeda suffurs a fatal crash descending the Galibier. Félicien Vervaecke, Jules Lowie, Charles Berty, Maurice Archambaud, Oskar Thierbach, Bruno Roth s.t. Charles Pélissier, Georg Stach, Kurt Stettler, Julien Moineau, etc. s.t. Pierre Cloarec, Benoît Faure, Honoré Granier, Georges Lachat, Louis Thiétard, Kurt Stettler, etc. s.t. Francesco Camusso abandoned. Just before the Puymorens ascent, there was a bus making a film and Camusso was behind the bus. The bus suddenly stopped and Camusso hit it. He badly hurt his right foot in this accident. Jean Fontenay, with a time of 51min 45sec, was initially declared the stage winner, but was later penalized 5min for drafting a car. Fritz Hartmann, Kurt Stettler, etc. s.t. Théodore Ladron, Léo Amberg, etc. s.t. Stage 2: Maes was harrased by flat tires. Here he performs his own repair, as required by the rules of the day.